ool to import MSG file to Thunderbird MBOX format in accurate manner from MS Outlook 2019, 2016, 2013, 2010, 2007, and 2003. 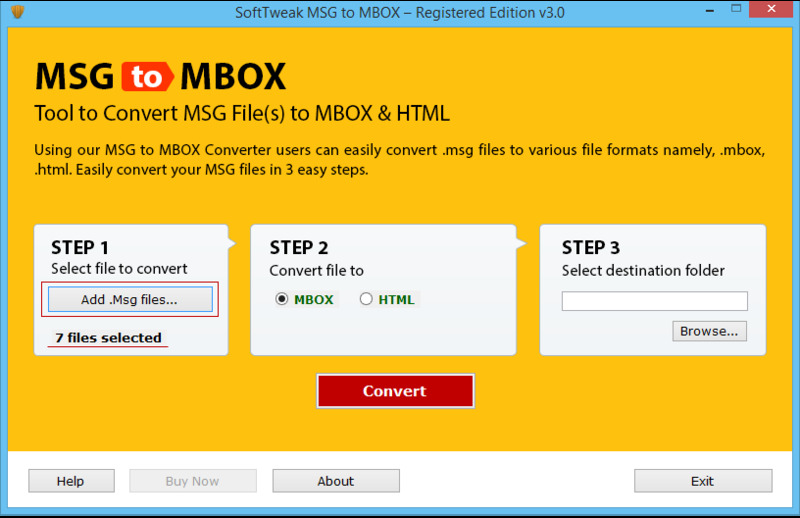 The MSG to MBOX Import Tool is very useful application to simply import MSG file to Thunderbird mailbox in both single and batch mode at once. If you want to know how to import MSG file to Thunderbird MBOX format, then you can first download its free demo version, which allows importing 25 email messages from MSG file to Thunderbird without cost. But, if you need to import MSG file to Thunderbird in a bulk mode, then you must buy its license key.